I’ve never had a custom PCB made by a fab house before, I used to etch my own years ago but the technology has become more accessible since then, the costs are tiny and there’s great free software. I’ve also never had anything laser cut and this was a great opportunity to learn about the tools and process. So all in all, a project I’ve always wanted to build, with lots of cool new tools to play with and learn. Last but by no means least, I’ve never blogged before. I don’t even tweet. 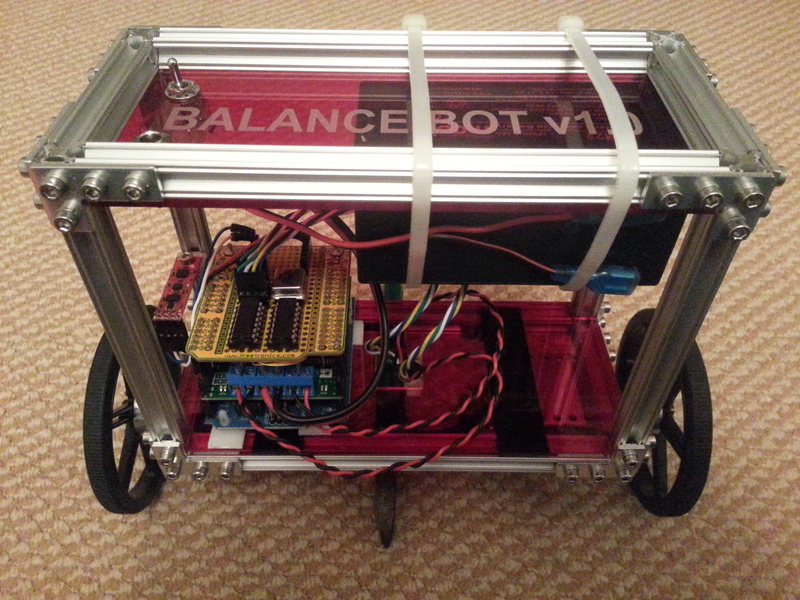 So, I thought I’d start a blog about the BalanceBot build and then continue it for my other tinkering projects. Quite a lot of goals in a single project. The first challenge is time. I don’t have much spare time, so what should have taken me a couple of weeks, took months, with just a few hours each weekend and nothing in the middle. The blog plan didn’t work either, as instead of blogging as I went along, I kind of saved everything up until the end. 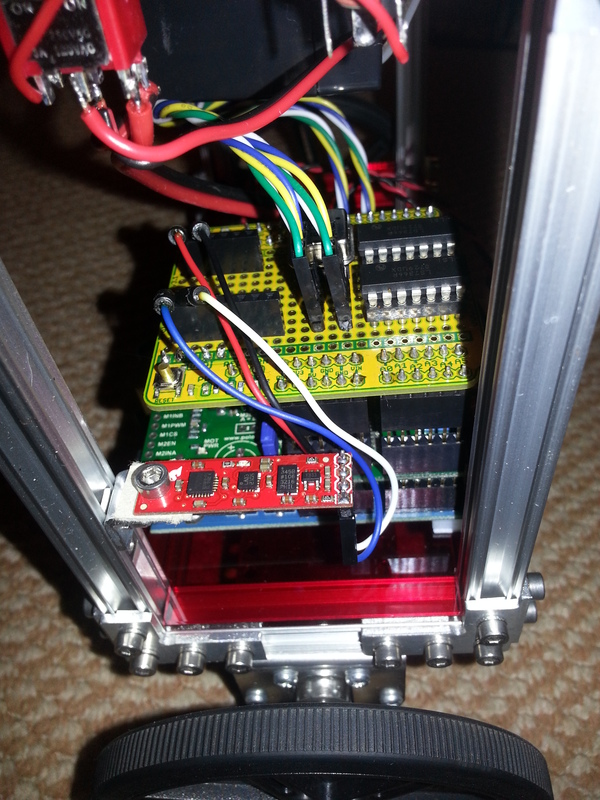 This entry was posted in BalanceBot and tagged Arduino, BalanceBot, Kalman Filters, PID, Quaternions, Robots on February 4, 2013 by mostlyrobots2012.